Choose the demo you want to launch and start discovering Ximdex Platform's features & advantages. Access your information simply and accurately, saving time and money with fast retrival and reuse. Built on the previously semanticized facets, it provides information organized by concepts, viewer relationships, intelligent searches, etc. 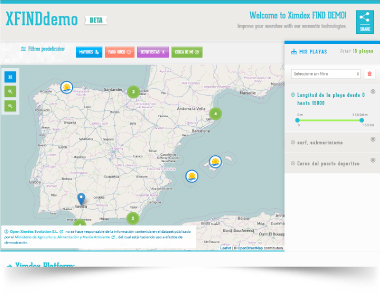 Try this sample demo with all the beautiful beaches that we have in Spain. Browse and discover their main features and relevant data. Do you want to know more about your content? 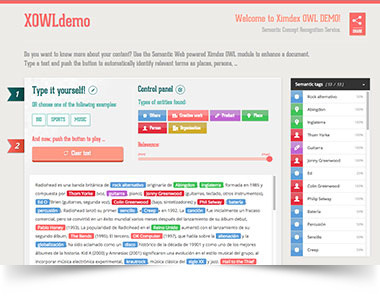 Use the Semantic Web powered XOWL service to enhance your content with images and links to resources in the cloud. The DMS service allows you to cooperatively edit a dataset, add information from semantic repositories automatically, and publish it as Web & Data Portals in the requested formats. The services provided by the Ximdex Platform also include tools in the cloud for visualization and analysis. 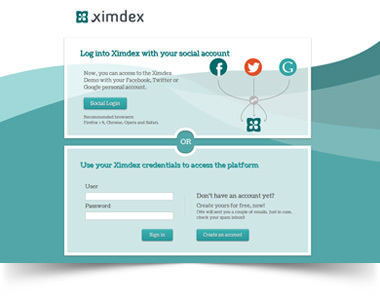 Take a quick tour of Ximdex CMS to see its main features. Remember to visually edit your XML document and submit it to the Ximdex OWL module that will automagically suggest images, links and references. Decoupled publishing of your content guarantees additional freedom, security and scalability allowing you to transform it into final formats (JSP, XHMLT, HTML5, PHP, etc.) or sync it to distant servers in the cloud. Your web is under attack! Your homepage has just been changed by a "black-hat hacker", but don't panic! 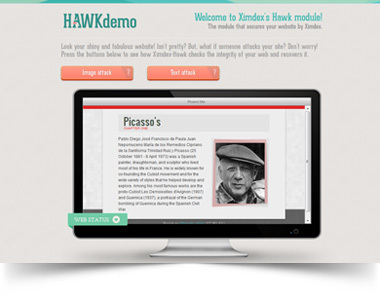 In a few seconds you will see how Ximdex HAWK module detects the attack, warns the web administrator by SMS and automatically reverts your website to the last published version. © 2015 Open Ximdex Evolution S.L. | All rights reserved. Please be sure to complete all the items marked with an asterisk (*).